We believe that every single PPC campaign must perform against the individual business objectives of the brand. We understand that every business is different and will have distinct needs when it comes to paid search. We also know that taking the same tired approach to PPC just doesn’t cut it in today’s customer-centric search landscape. When done well, nothing can be more targeted, immediate or effective than Pay Per Click advertising. We make sure that each of our PPC campaigns is bespoke and fresh to ensure you keep a close eye on your ad spend and hit your objectives. All of our PPC strategies are different. We evaluate a number of factors to make sure we build the right strategy to perform for your business. The first step will always be to understand your business objectives. Our PPC consultants work closely with you from the very beginning to fully plug into the DNA of your business and to define your objectives when it comes to digital marketing. 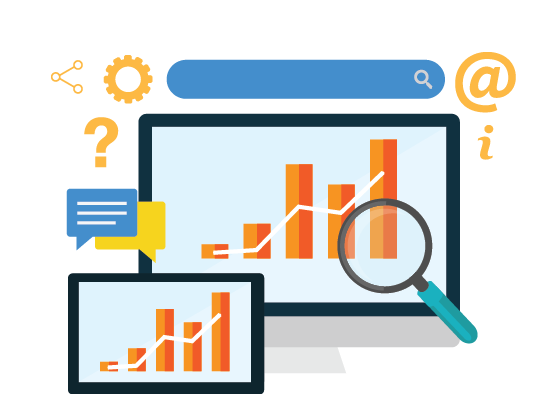 Through our bespoke and proprietary PPC audit, our digital marketing consultants will analyse all elements of your existing campaigns. We will immediately highlight areas of improvement to drive increased performance specifically around your CTR, conversion rates and efficiencies. We’ve helped a wide variety of brands to acquire new customers through our bespoke PPC campaigns. Whether looking to extend their reach on a global scale or target customers on a local level we execute the right PPC strategy for the right demographic. We work closely with the major search platforms to extend our client’s reach and return with targeted campaigns. We understand that to continue to innovate and secure the best results for our clients, we need to look closely at the data. Our PPC consultants will continue to track campaign data, customer touch points and competitor activity, reporting this back to you on an ongoing basis. This ongoing analysis will continue to feed into our insight and planning phase to ensure each PPC strategy and campaign we implement is unique and performs against your defined objectives.